The focus of research in the Rao laboratory is to understand the mechanisms underlying leukocyte recruitment, particularly eosinophils, and overall aspects of innate and adaptive immunity in the pathogenesis allergic diseases including airway (asthma) and GI inflammation. Using techniques of intravital microscopy and other molecular and cellular approaches, researchers are examining, the cellular mechanisms involved in the generation of eosinophils and their trafficking/recruitment to sites of inflammation; modulation of Th1/Th2 cytokines; role of adhesion molecules, carbohydrate&dash;binding proteins (specifically galectins and glycans) and carbohydrateprocessing enzymes, cytokines and chemokines/chemoattractants in mediating leukocyte (eosinophil)&dash;endothelial cell interactions, immune modulation and associated signal transduction events in vitro and animal models of allergic disease. 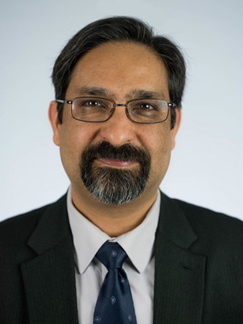 With his adjunct faculty appointment, he seeks to build on the strong interdisciplinary and cutting-edge research focus across the Academic Health Center and rest of the university to promote exciting new collaborative One Health research initiatives at the interface of animals, humans and the environment. Specifically, he leads a transdisciplinary effort of “One Medicine One Science” that aims to advance the Science behind One Health. In this capacity he leads the University of Minnesota’s “International Conference on One Medicine One Science (iCOMOS)”, a global forum dedicated to (i) communicating the importance of science in solving pressing health issues at the interface of humans, animals and the environment; (ii) facilitating interdisciplinary, international collaborations embracing health, science and economics; and (iii) providing information regarding the public policy development necessary for preserving human and animal health.